A collection of 10 long-wearing, water-resistant, self-sharpening liners for enhanced lip looks. 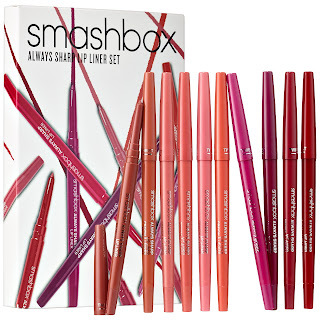 Give your lips the ultimate lip look with this lip liner set. These lip liners feature tiny built-in sharpeners in the tip of the cap, so that they conveniently self-sharpen every time you twist off the cap. Each features a precise tip that helps you to accentuate your Cupid’s bow for fullness, or line the inside edges of your lips for a slimming effect. Lining helps prevent any smudging, feathering, or bleeding to your lip look. 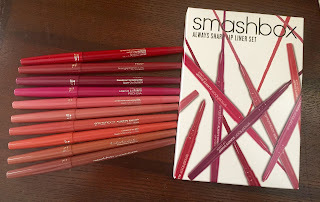 Verdict: Last year I was really hoping for a great lip liner set to be released during the holidays and it didn't happen but this year Smashbox won my heart. I absolutely adore this set. 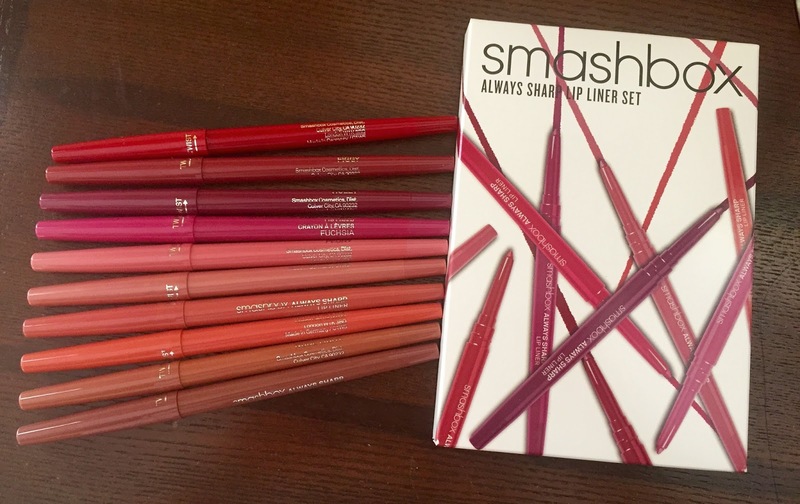 There is great variety in all of the lip liner colors and the product is amazing. 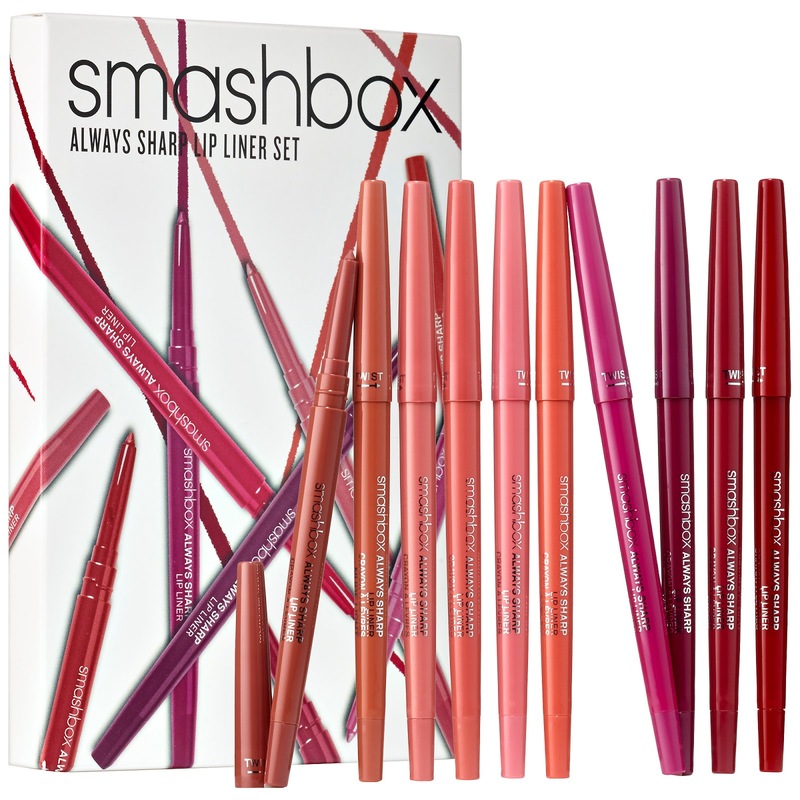 The liners apply smoothly on the lip and have great pigmentation. Also the fact that the liners self sharpen is a huge plus. ﻿﻿﻿﻿Verdict: I'm on the fence about this collaboration. 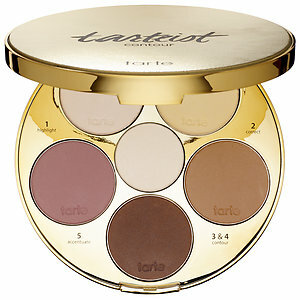 The colors in this palette are pretty neutral but its obvious that the shades will not work well on every skin tone. 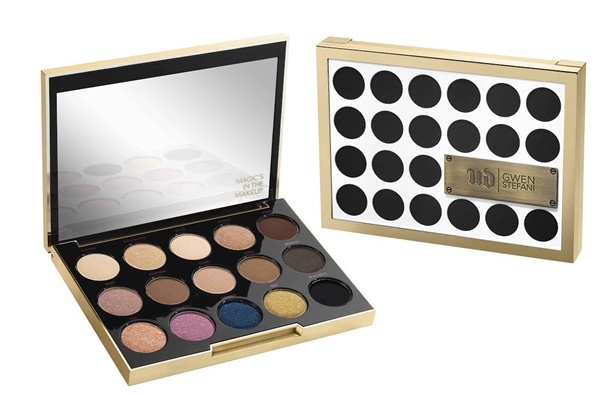 The best way to describe this palette is if Gwen Stefani and the Naked Palette had a baby. 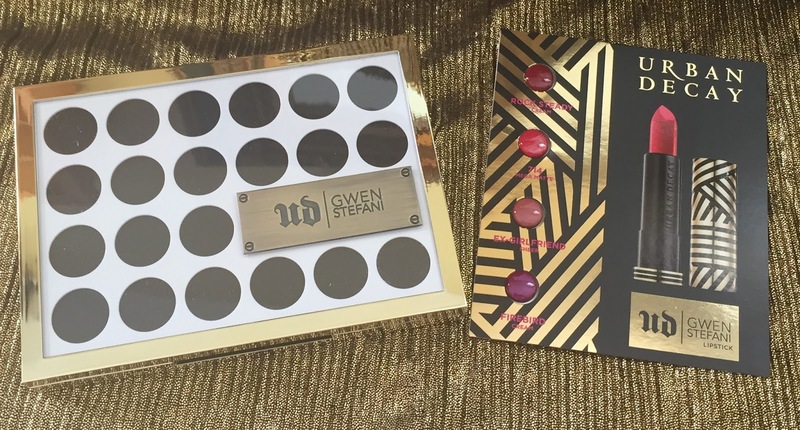 I wish there was a little bit more variation but then again Gwen's go to look is a simple eye and bold lip. 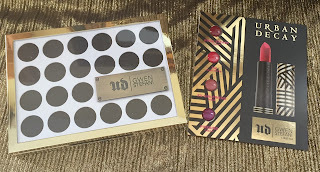 If you are a UD collector or do not own a UD Naked palette I would recommend this palette since it is limited edition but other then that it's pretty passable. A universal face slenderizing palette that allows anyone to master the art of contouring. 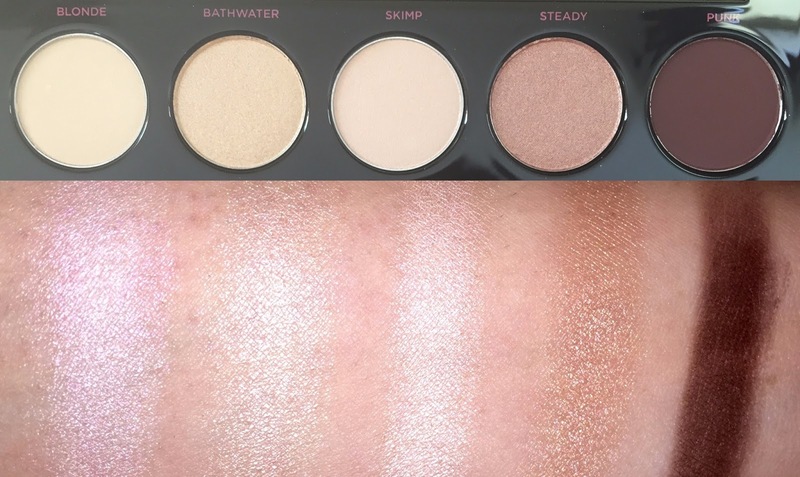 Sculpt your complexion using this palette’s paint by numbers technique. This all-in-one face slenderizing palette features six numbered, contouring shades and a step-by-step visual guide so you can seamlessly highlight, correct, contour, and accentuate your best features like a pro. With ultra-soft, satin powders, these shades blend easily to create a dimensional look without any harsh lines. 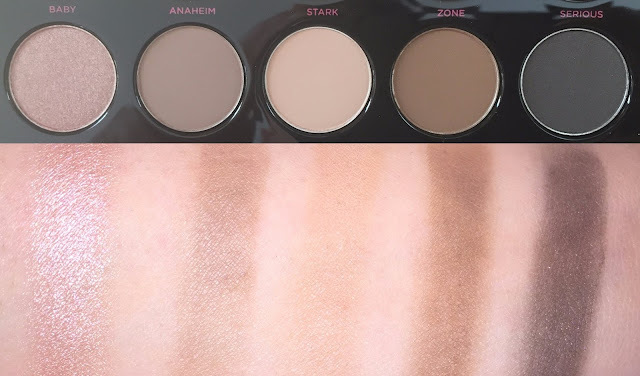 Verdict: Let me start out by saying that I am more of a cream contour person so even though I think this is a great palette it just wasn't for me. The formula of the colors was very silky and lightweight. 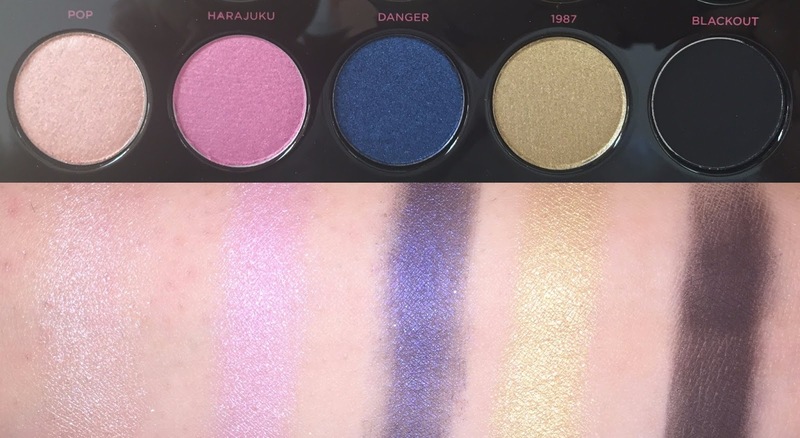 The colors are also pretty buildable. If you are new to contouring or just prefer powder over cream then this would be a great product for you. I on the other hand am just going to stick to my Tarte Slenderizing Sticks.